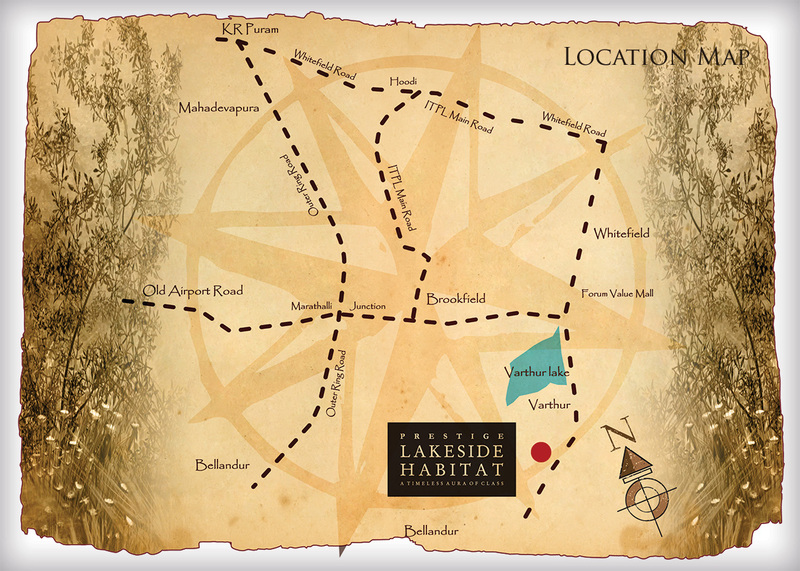 Prestige Lakeside Habitat: It is your own paradise, descended on earth literally! The city of Bangalore has a long traditional history since the days of the Raj. Called as the air-conditioned city of India, it is known for its pleasant weather. In the past couple of decades, this city has gained prominence on the global map due to the IT boom and is thus touted as the ‘Silicon Valley of India’. The areas around the city have been becoming favorites for real estate development, as the infra development is the basis for any modern urban development. As more companies choose to set shop here, there is an increased number of incumbents into the city and the high demand for homes and commercial sectors is always on the rise. Whitefield, the once quiet and picturesque cousin of the main city, is now an extension and is sought-after for its great and robust MNC presence. Prestige Group is a well-renowned name of builders in Bangalore. They have done their bit to create the fantastic architectural landmarks in the city. This time, they have made their stamp on a vibrant and expansive expanse of land on the Sarjapur-Whitefield Road, in a project for plush living called Prestige Lakeside Habitat. The property spans 102 acres, out of which 80 acres have been carefully designed as green open spaces. If that isn’t massive, what is? It is thus called, due to it overlooking the grand Varthur Lake that adds natural charm and refreshing view. This residential project is based on a Disney theme. Thus, you will meet your favorite character at every corner here and this lends a fairytale-like touch, aimed to recreate the magic of childhood fantasies every day. Homes here are arranged in 33 neat towers only. Each tower rises to G + 18 to 29 floors. In addition, there are villas as well. There are a total of 3697 homes here. 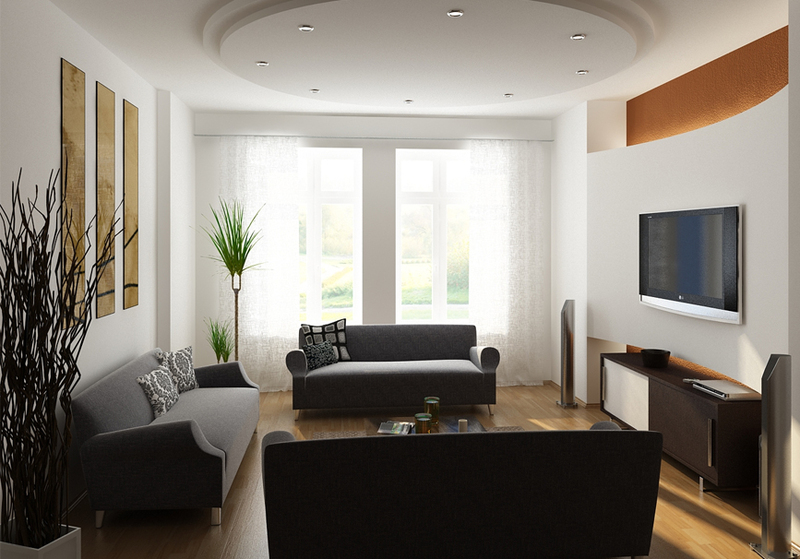 The apartments are in a variety of formats like 2, 2.5,3 and 4 BHK sets. 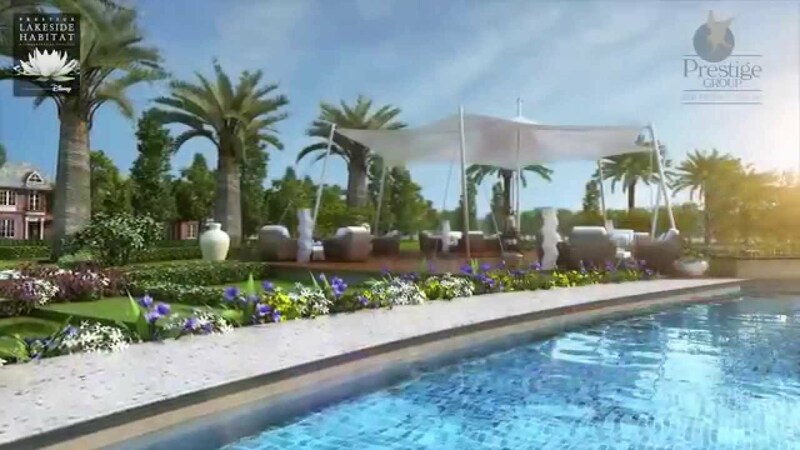 Prestige Lakeside Habitat Price residential units are available in prices starting from Rs 65.72 to Rs 3.94 crores and the flats come in sizes varying between 1195sq.ft to 4934sq.ft. There are 4 grand clubhouses within the township! This luxury Disney homeland also holds many sports courts and fitness alcoves. There are serene sit-out areas, lots of swimming pools, yoga deck, cycling and jogging tracks, amazing landscapes, areas to set up picnics, skating rink, squash courts, tennis courts, cricket pitch, golf course and kids’ playgrounds! Security is multi-layered and tight. The expanse has power back-up, 24*7 water supply, dedicated car parking slots for each home, and skilled staff to maintain the property in top shape as well. Prestige Lakeside Habitat Bangalore is a dream carved out for those who desire to upscale their lifestyle and splash it with luxury. Conveniences are well-ingrained here for a healthy community shared living experience. Unity in diversity is the motto behind the seamless blending of dissimilar homes here, reflecting true society at large. Prestige Lakeside Habitat Whitefield is a beautifully designed residential township by the Prestige group in Bangalore. The modern high-rise towers here with world-class interiors and amenities. the township provides seamless connectivity to all the important places of the city. Also some of the major hospitals, schools, banks, restaurants, shopping malls are located near to the complex. So hurry up and book your house now to avail the best deal. Located at Whitefield, Sarjapur Road, Bangalore.